Where is the cabin filter and when it needs to be changed? Cabin air filter is installed on almost all modern cars. Cabin Filter carries important functions, but unfortunately not many people know where it is in the vehicle and how often it must be replaced. The air filter, which cleans the air entering the interior of the vehicle, retains dust, soot, sand and other harmful substances are present in the air, on the roads, not allowing them to get into the car. If the driver and passenger are allergic to any substance that this filter is an indispensable tool to the air in the car was clean and free of harmful impurities. When to change the cabin filter? Different vehicle manufacturers recommendations for term replacement cabin filter differ markedly. Some manufacturers recommend regular replacement of filter every 10,000 kilometers, while others recommend changing the filter every 25,000 kilometers. In most cases, car manufacturers recommend replacing cabin filters depending on the vehicle operating conditions. This means that if the vehicle is operated in the southern zone, where the air is present high content of sand and other fine sandy materials, the cabin filter should be replaced more often than a car that operates in the region, where the air is much cleaner. Also, if you most of the time driving a vehicle in an urban environment with a dense flow of cars, you need to change the filter at a lot more often than the cars that go out of town and did not stand for hours in the many kilometers of traffic jams. 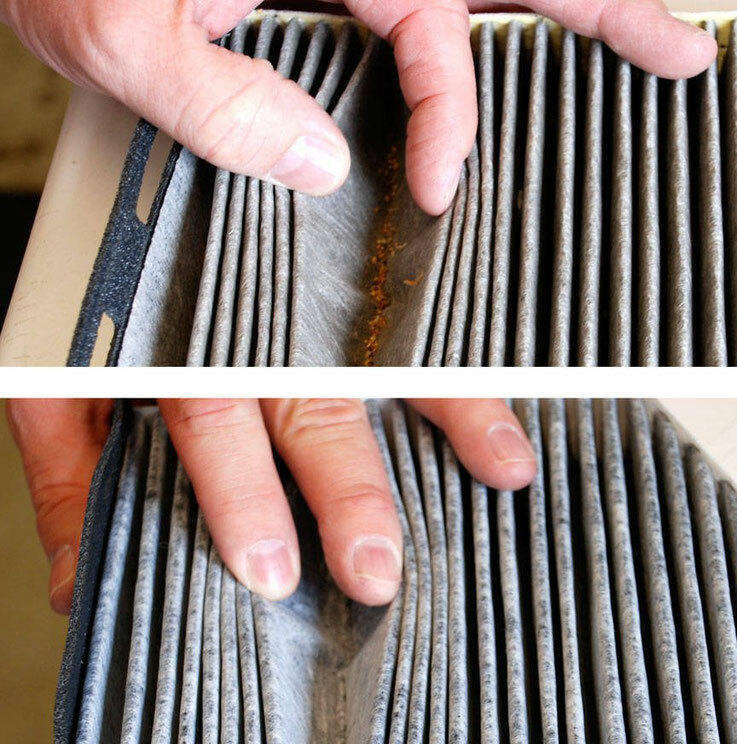 For example, in large cities cabin filter more quickly it becomes unfit for use. So regardless of the manufacturer's recommendations when you need to change the filter, you should change it no less than 1 time per year, even though a small mileage. In any case, check the manufacturer's recommendations for replacing the cabin filter rules to know when the time comes to replace the air vehicle interior element. What are the signs that it is time to change the cabin filter? As circumstantial evidence, you can manually determine whether to change the cabin filter is time. So, if outdoor air is fresh and clean, and you feel in the cabin is not very clean and fresh air, it is possible your filter is dirty enough already, and does not cope with its functions for oxygen removal of harmful substances. It can also be confirmed by the fact that if you turn the power of oxygen to the maximum cabin ventilation system, but do not feel a strong airflow, then with 100 percent probability cabin filter has come into disrepair and can not pass through a large amount of air. Where is the cabin filter in the car? 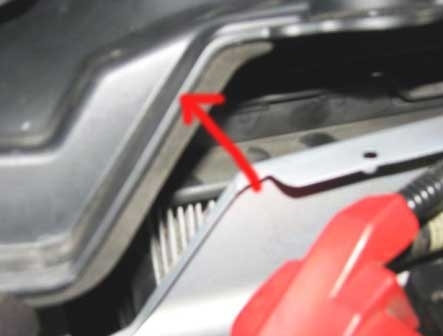 In many cars the most common place where the cabin filter is a place for the glove box ("glove box"), or under it. How to get there on their own cabin filter can be found in the owner's manual. In some vehicles, the cabin filter is located under the dashboard. In this case the filter change alone would be problematic. 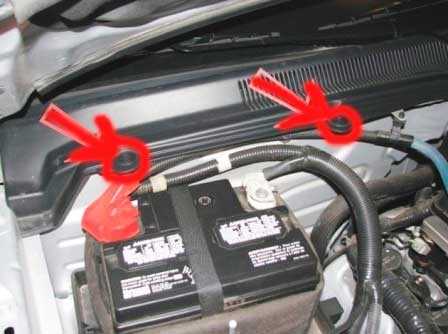 There are also vehicles in which the filter is located under the hood of a car, in special cassettes. How much is the cabin air filter? Some cabin air filters are very expensive. In particular in the premium brands, as well as if the cabin filter has a small size (for example, in off-road vehicles and vans). The most expensive price for the filters and replace them from authorized dealers. So compared to the market prices for cabin air filters, prices from authorized dealers may be more than 2 times. Purchase and use of the original cabin filter is not required. You can not buy the original cabin filter, which will be significantly cheaper, but the quality of the properties and little than differ from the original. If you will be able to replace the filter, then it will also save you the money you would have spent in the service station. If during vehicle maintenance garage in saying to you that you need to replace the cabin filter, that before giving their consent for the replacement, ask to show you the item. It is necessary to visually confirm that indeed there is a need to replace the filter. Depending on the operating conditions of the vehicle and run the filter may look different. If the filter becomes unusable, you can see a very dirty filter, in which there are leaves, branches, insects, soot, soot and other pollutants. If you see such a dirty filter, then you will have no doubt that the time has come to its scheduled replacement. But remember that even if the filter is clean enough, but a late replacement took place over a year ago, it is advisable to change it to the next due to the fact that the filter is no longer fulfilling its properties. Cabin filter Ford Mustang V is under the hood. To begin remove caps from the windshield. Now we raise the plastic cover and pull out the pollen filter, which is in the frame. Change the old filter with a new cabin and put together with a frame back, gather everything in reverse order.